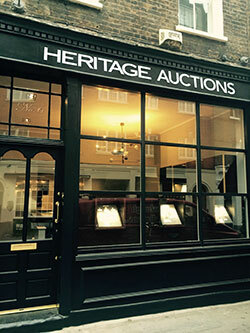 LONDON, England (September 11, 2017) — One of the world's largest auction companies, Heritage Auctions (www.HA.com), has now opened an office in London, England at 6 Shepherd Street, London, Mayfair W1J 7JE. The London office joins Paris, Geneva, Amsterdam and Hong Kong in the international footprint for Heritage Auctions. The office will be staffed by veteran coin collectors and experts Max Tursi and Nicholas Mathioudakis. Tursi received an MA in Classics from Universitá degli Studi of Pavia, Italy. A life-long coin collector, he has worked for a number of prestigious firms including Christie’s Rome, Astarte S.A. in Lugano, Spink and Son and Classical Numismatic Group in London. Most recently he has been partnered with Mathioudakis at London Coin Galleries Ltd. since 2014. In the last 18 years Tursi has acquired extensive experience in both the retail and the auction world. Focusing mainly on ancient coins, his area of expertise extends to European medieval and modern coins. Nicholas Mathioudakis has been collecting coins since the age of thirteen. Having lived in Saudi Arabia, he would spend a lot of time roaming the souks in search of hidden treasures where he also bought his first ancient Greek coin. His drive and passion for numismatics led him to take up a full time position at Morton and Eden (formerly associated with Sotheby’s) where he catalogued ancient coins and paper money. Mathioudakis’ areas of expertise include ancient coins, paper money, particularly of the Middle East, European medieval, Islamic and modern coins. 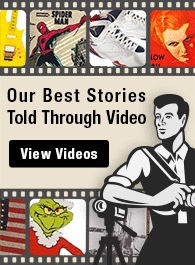 Dallas, Texas-based Heritage Auctions is the world's largest auctioneer of fine art and collectibles and the largest auction company founded in the United States. In addition to its headquarters in Dallas, Heritage has offices in New York City, Beverly Hills, San Francisco, Chicago and Palm Beach as well as in Asia and Europe. The Heritage Auctions' London saleroom and offices are regularly open to the public from 11 a.m. to 6:30 p.m., Monday through Friday. The phone number is +44 (0)207 493 0498 and the email address is UK@HA.com. For additional information, visit HA.com. Today I received the catalog which is a work of art unto itself. When I found my lot I was literally blown away by what Craig had done with the presentation....... quite amazing to say the least!